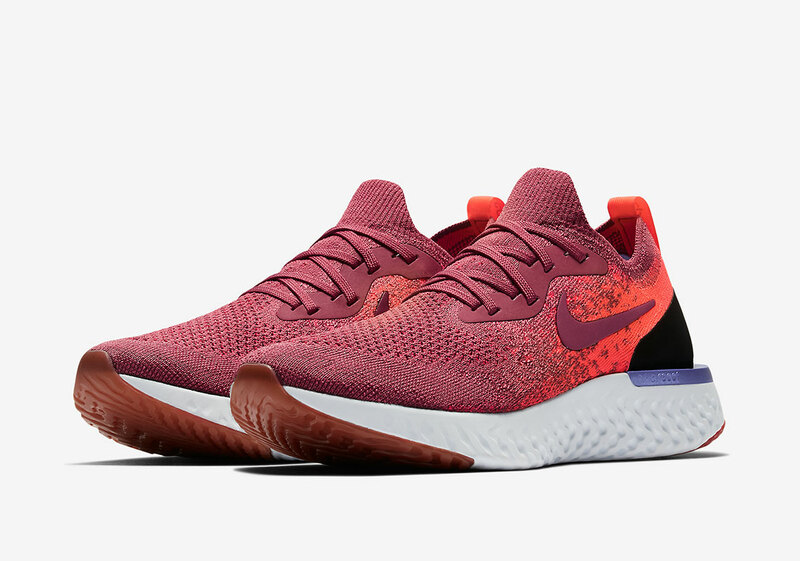 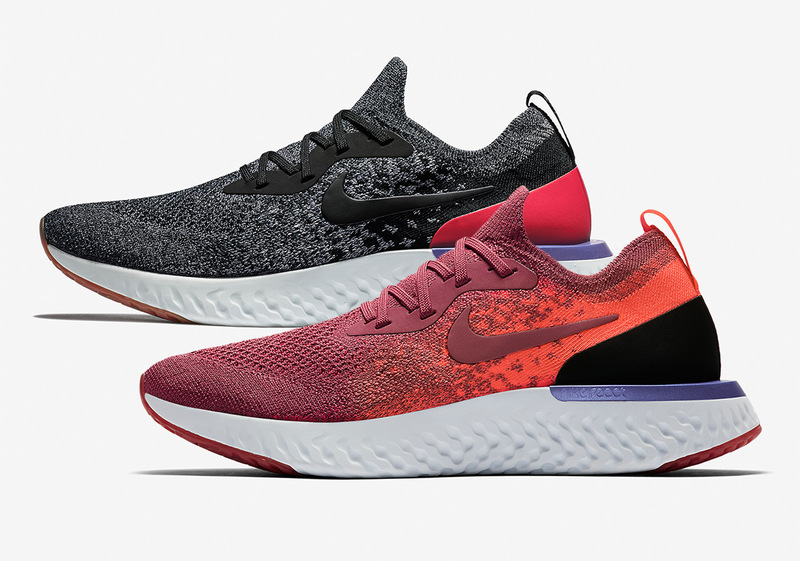 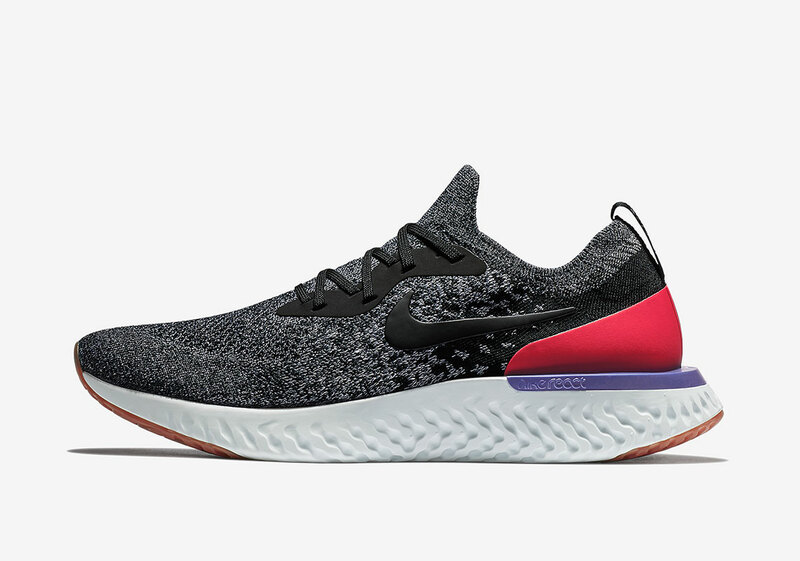 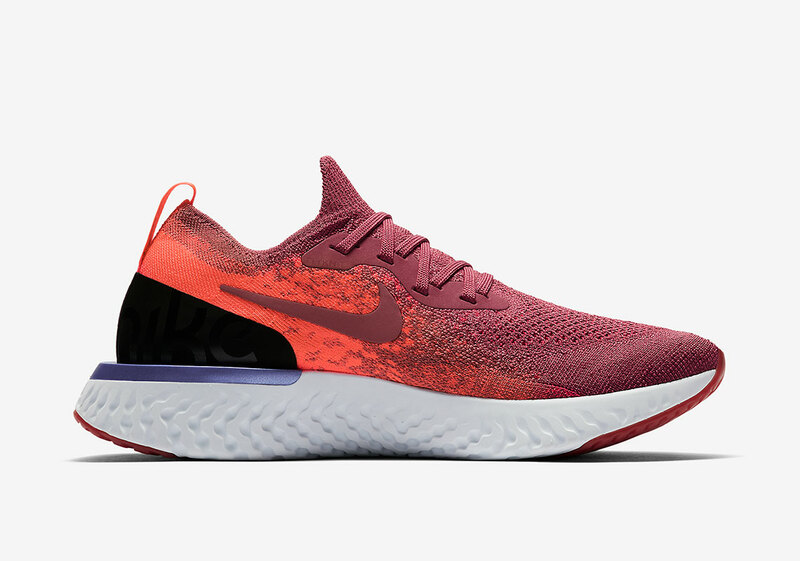 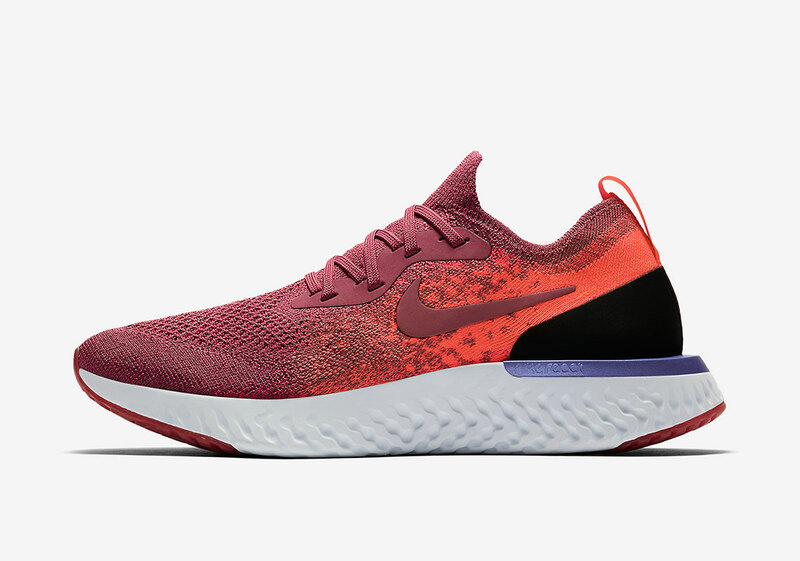 Nike’s newest flagship running model, the Epic React Flyknit has been unveiled in two new colorways, one for women and one for men. 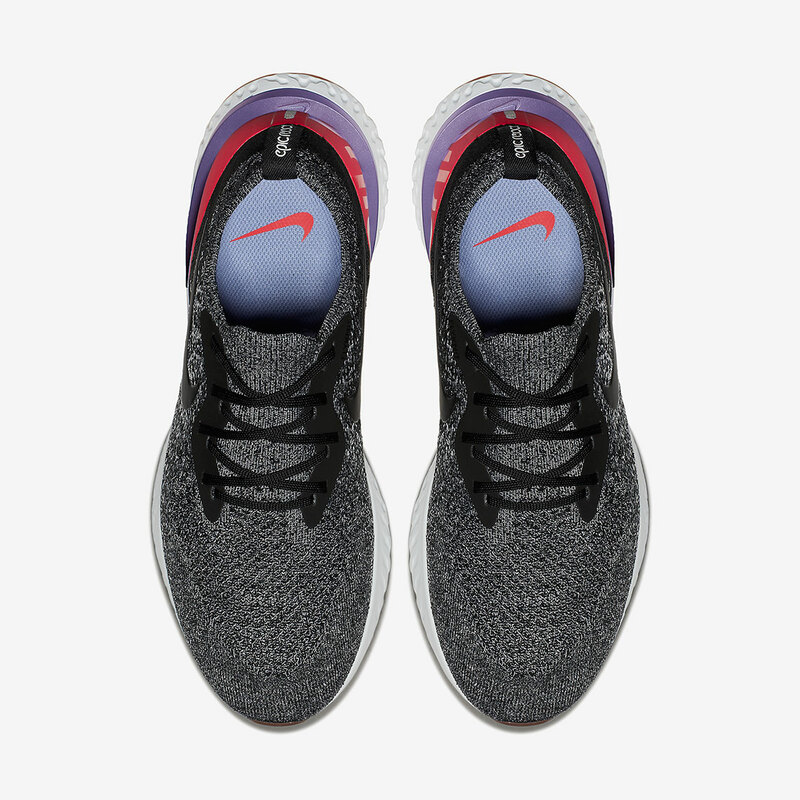 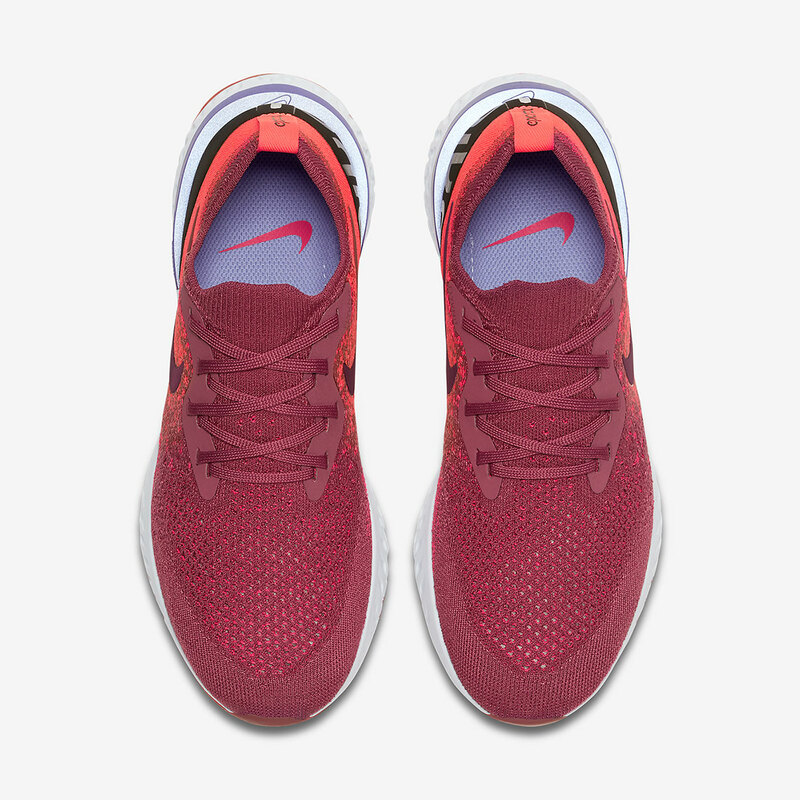 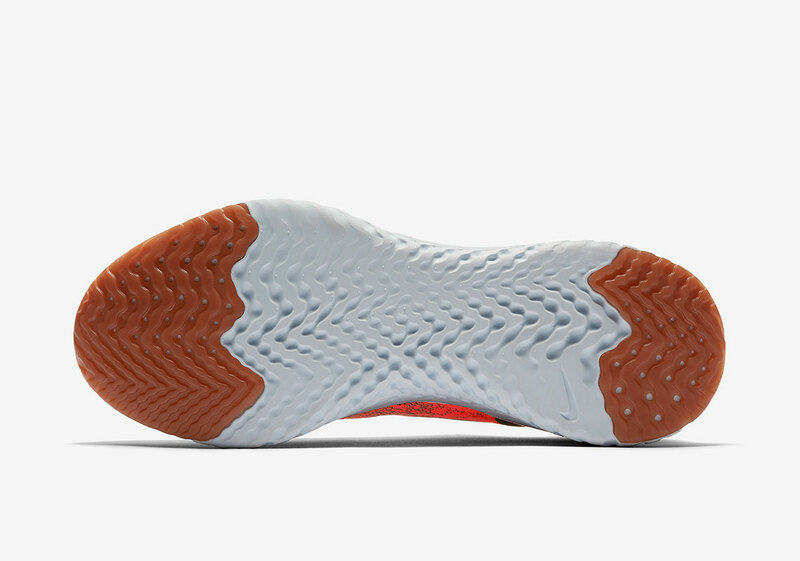 Arriving in a bright crimson (women’s) and a toned-down grey (men’s), both shoes feature a gradient Flyknit upper that fades from one color on the toebox to another on the heel. 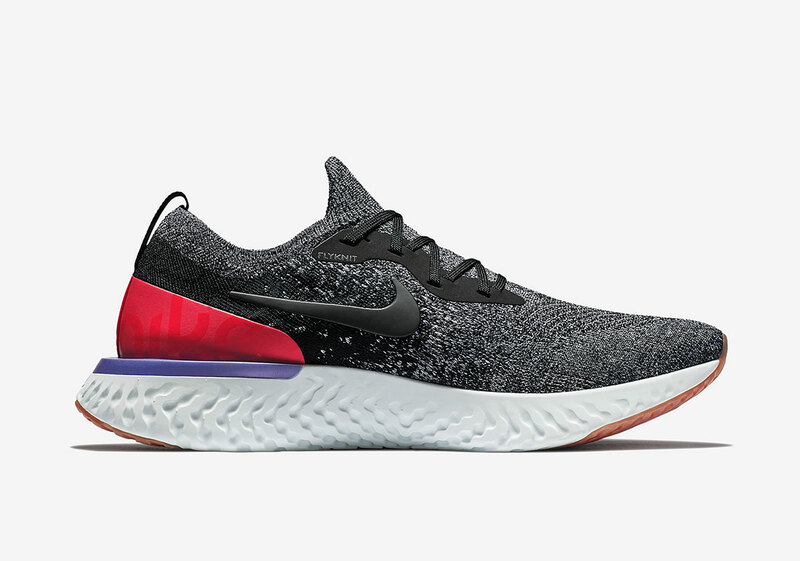 The crimson colorway is accented by a black heel cage, while the black/grey is given a pop of color with a pink heel cage. 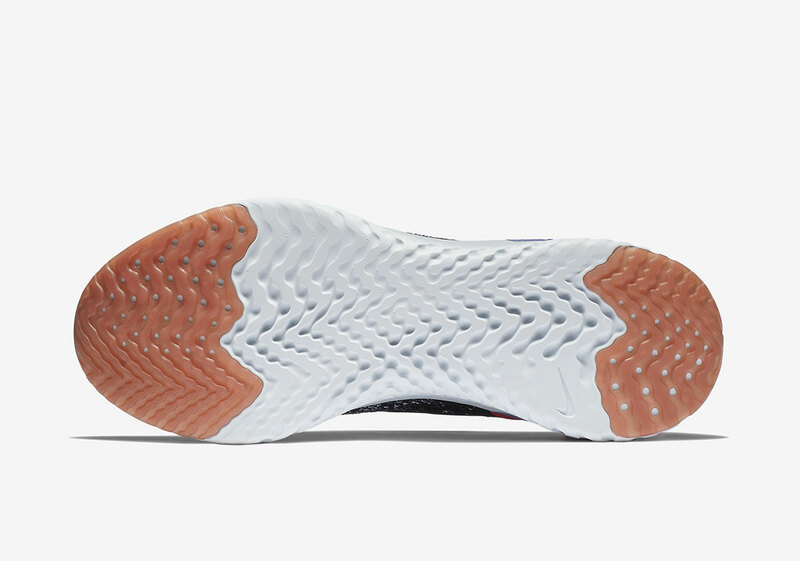 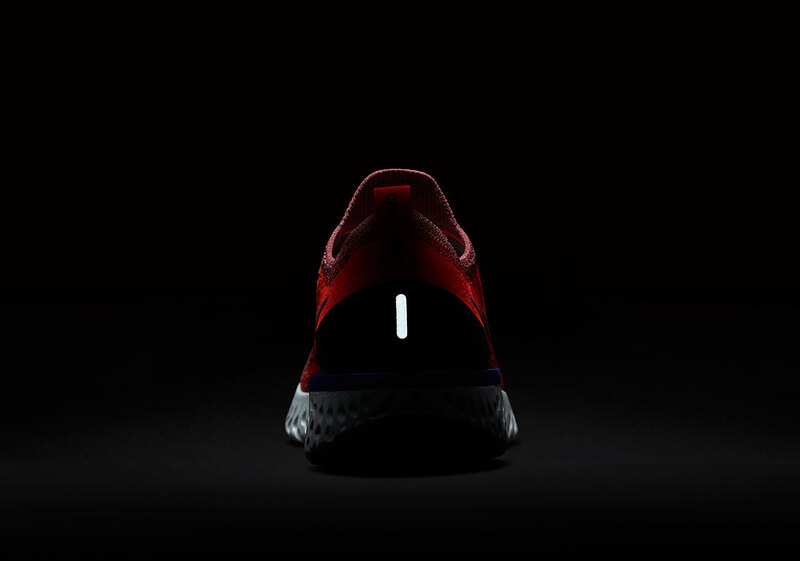 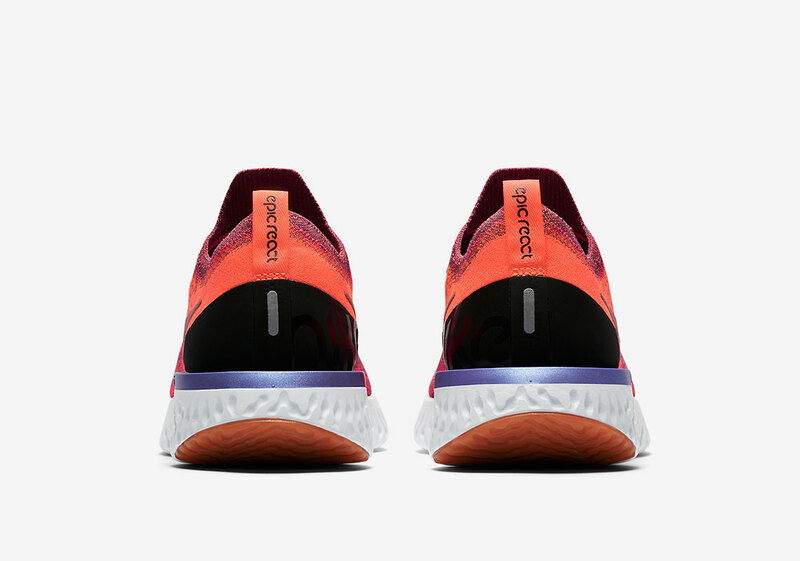 Each shoe features the white lightweight React midsole with hits of color on the toe and heel, and a small 3M hit on the heel tab as well for low-light visibility. 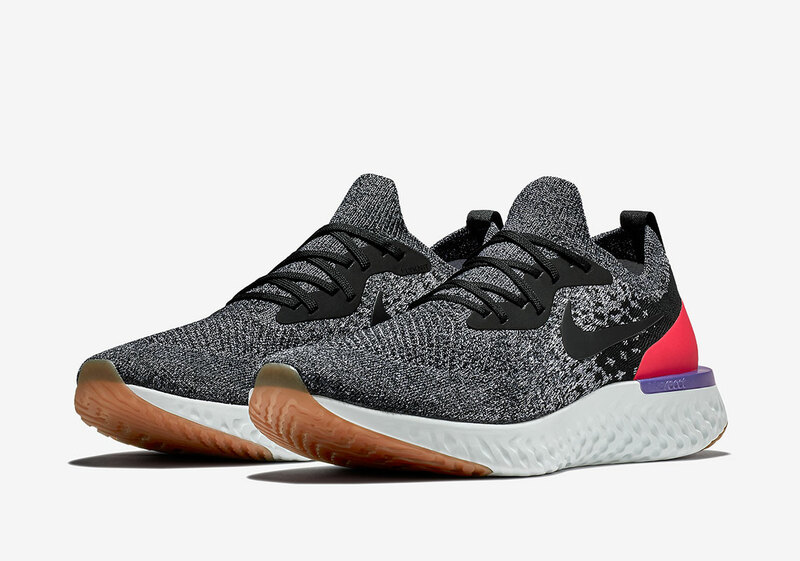 There’s no official US release date on these two new Epic React Flyknits yet, but expect them to drop soon at Nike.com for $150 USD.